M/V “DIVINUS”, bulk carrier of 170.000 dwt flagged by Isle of Man, came to Constanta Shipyard in August 2010 having an important damaged area in her fore hull part due to grounding. 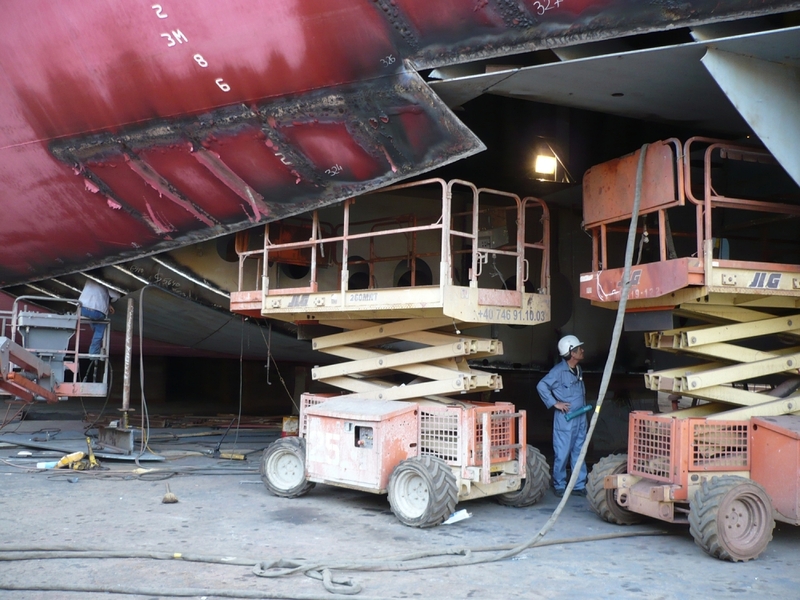 Upon dry docking of the ship, the extent of the double bottom damage was assessed and work started based on the documentation submitted by Owners Representative and sketches drawn on spot by Shipyard’s Engineering Department representatives. As expected in these situations, the quantity resulted after the evaluation exceeded the initial estimation, thus putting once more to the test the flexibility of the Shipyard’s planning and work force. 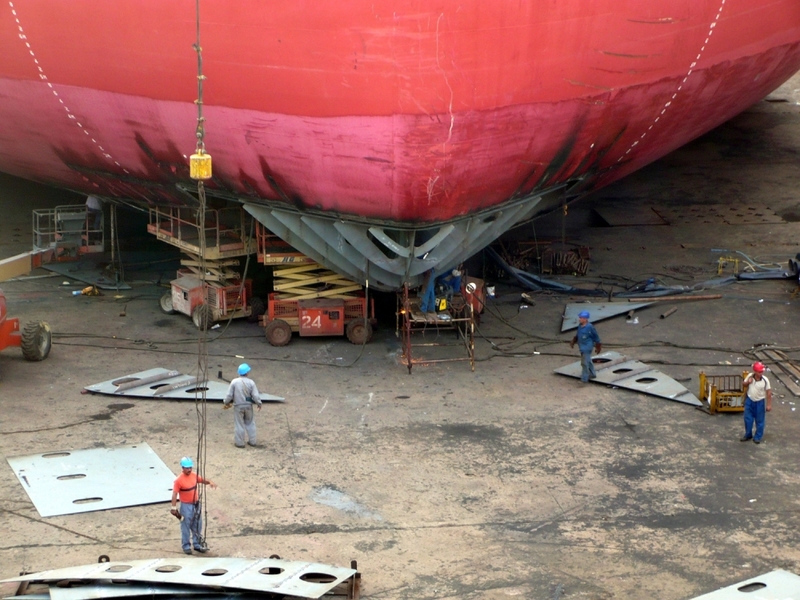 We successfully reorganized and completed the overall repairs in a duration extended accordingly, which included renewal of about 80 tons of bottom plate and forepeak tank structure, grit-blasting and painting the affected area inside the said tank (2 full coats) and full external protective coat repairs (3 full coats) up to the requirements for a ship delivered same year. 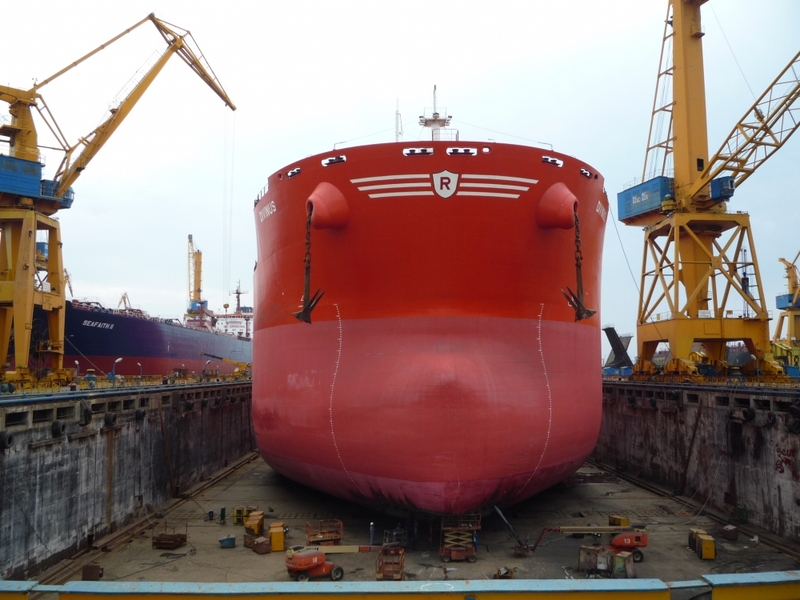 Works were complete successfully to both Owners’ and Shipyard’s satisfaction.